Westminster has topped the list as the worst London borough for bus crime, figures have revealed. New analysis of stats found the number of sexual offences reported on the capital’s buses rocketed this year, despite overall crime on London buses dropping by nearly seven per cent. 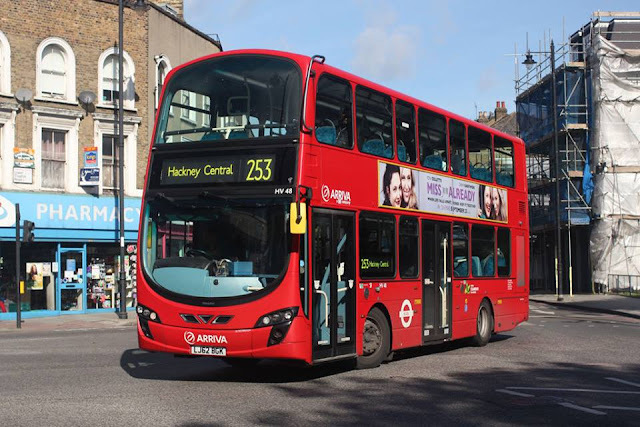 After Westminster, the boroughs of Hackney and Camden recorded the most crime on buses followed by Haringey, Lambeth and Islington. The safest borough for bus crime was leafy Richmond, followed by Kingston, Sutton and Harrow. The data, which covered all 32 London boroughs except the City of London, comes from the Office for National Statistics and Transport for London and was analysed by website Locksmith Service. It revealed the total number of crimes committed on buses between January and June this year was 7,957, down by 6.9 per cent from 8,545 crimes in the same period last year. 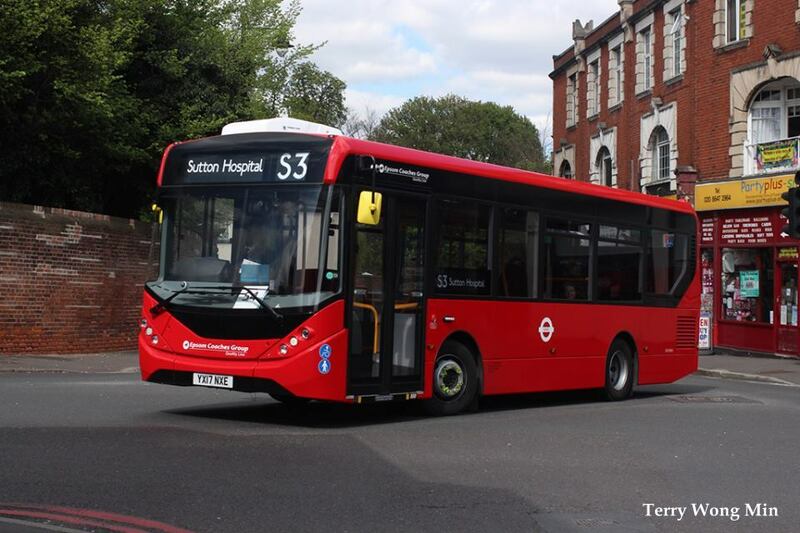 The most common crime was theft, which accounted for nearly half of all offences committed on the capital’s buses. A close second was violent offences, with 3,034 such offences committed. 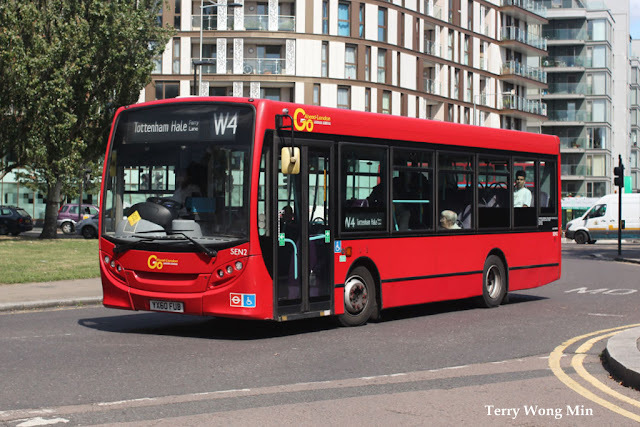 Despite most crimes dropping, the number of sexual offences committed on the buses rocketed by nearly 10 per cent, the data showed. 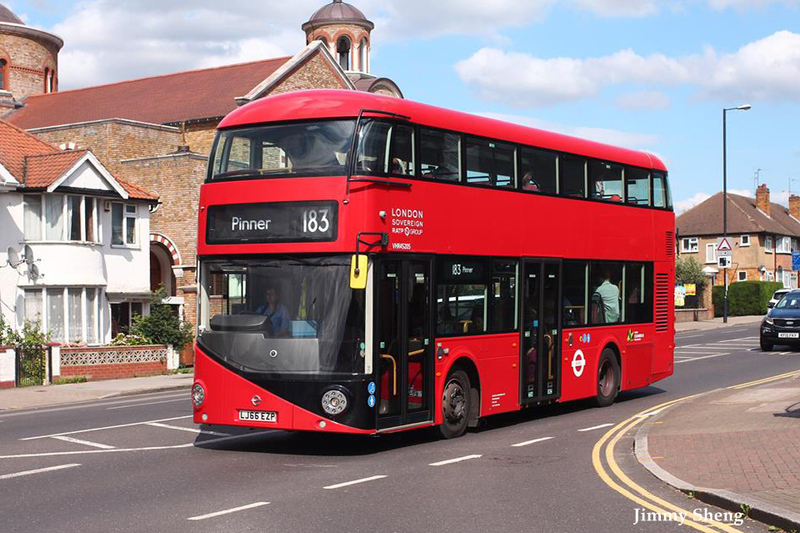 Ealing, which was rated eighth for highest number of bus crimes in 2016, appears to have been safer in 2017, dropping out of the top 10 list. 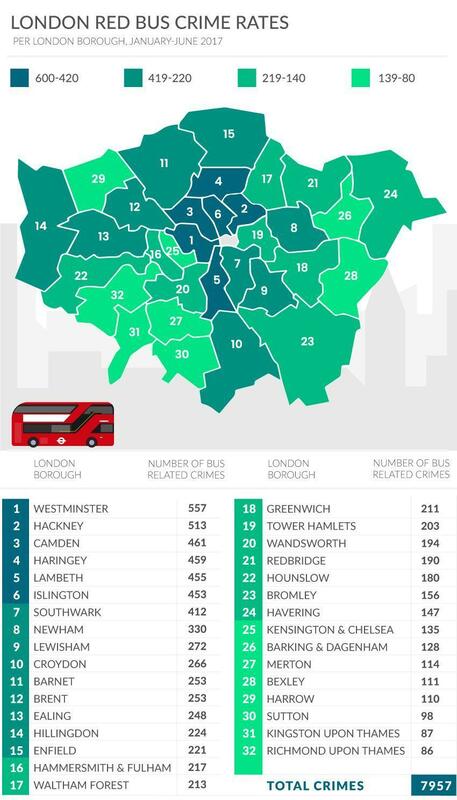 Lambeth, which was second worst for bus crime last year, also recorded fewer crimes in 2017, dropping to fifth place. Steve Burton, TfL’s director of enforcement and on-street operation, highlighted the fact crime on the bus network is falling. 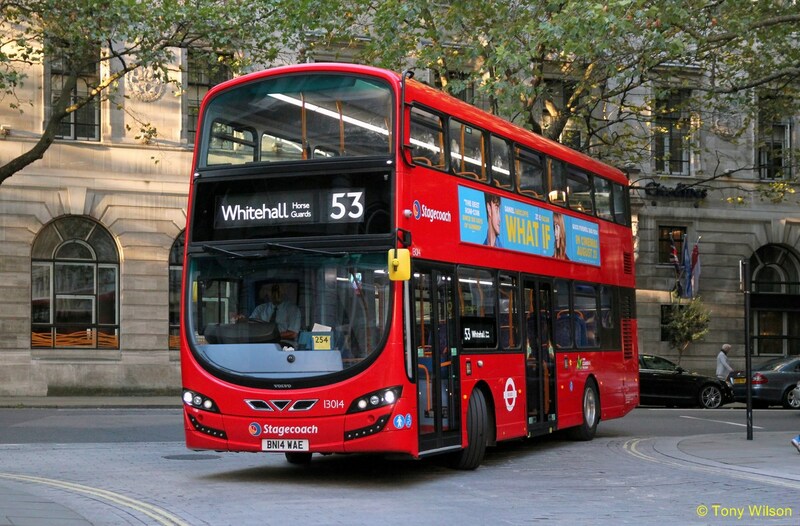 “In contrast to national trends, crime on the bus network is falling, but we will continue to work closely with the police to ensure that offenders are dealt with robustly and that our staff and Metropolitan Police Officers are on hand to help customers who need assistance.